STORIES FROM THE TRENCHES, LETTERS HOME FROM THE WARS. THE LIFE AND STRUGGLES OF A PRO SONGWRITER. It was the early nineties. Arriving in Los Angeles with Australian and Canadian hit song credits under my belt, I thought it would be a breeze to get into the scene. A year later and my life savings gone I couldn't get arrested as a songwriter, keyboard player or producer. Somehow, I fell into the "B list" session scene as a keyboard player for songwriters who needed their songs demoed. I was a pretty good keyboard player, the pay was poor, but the work was consistent and the songwriters liked my playing. 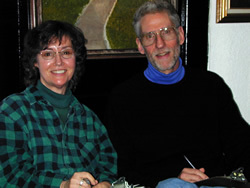 David Gresham (a former business partner with Mutt Lang) was making annual trips to Los Angeles from South Africa promoting artists and writers from his label in Jo-berg. He needed some demos done and someone recommended me. I worked on his stuff and we became friends. Some years later, after I had graduated into the "A - list" LA studio musician scene, David called me from South Africa quite excited about an artist he had signed. He asked me if I would try to work with him. A few weeks later, his new artist, Byron Duplessis arrived at my studio in North Hollywood. Imagine Terence Trent Darby, Prince, Michael Jackson and Lenny Kravitz in a male model's physique with talent and a voice beyond anything that I had heard before. That was Byron. We immediately fell into writing and recording a song and "LOVE HAS THE POWER" was born. Without notice, Byron left, and I didn't hear back from him again for some months. "LOVE HAS THE POWER" was pitched to all the labels. The response was great. But we consistently heard the same comment, "We can't sign an artist based on only one song"..
David called me again from South Africa asking what could be done. I had an idea. If I worked with Byron in LA, he would be just like any other R&B act. However if I went to South Africa to work with him, we might be able to come up with something interesting and unique. The idea was to combine contemporary pop with Byron's African roots. So, I packed my bags and went off on safari. I was right. The music that we made was great and different. Back in LA, the labels jumped at it. We had record companies in a bidding war for Byron. I thought that I had it made. One day, our combined demo/masters were being played in the offices of Columbia Records in New York, Coincidentally, the band, TOTO was next door wondering what they were going to do about a lead singer for their next recording and tour. Someone made the connection. In an instant I lost my artist. Byron Duplessis became Jean-Michel Byron and the new lead singer for TOTO. I was deeply disappointed with the loss of Byron as my songwriting partner and production client. I felt that he and our songs could have been "bigger than Jesus", to quote John Lennon. But, I did get some compensation in getting a TOTO cut. I had a strong feeling that Byron had been badly miscast as a member of TOTO and this feeling turned out to be a truth with some unfortunate results for both Byron and the band. His amazing talent is still yet to be fully expressed. After that, there was a certain lack of creative and artistic fulfillment for me. The music in South Africa had affected me so profoundly that I had to find my way back there and make more music - at any cost. David Gresham and I stayed in touch, bemoaning our loss and plotted to find some way to recoup. As a result, I returned to the 'veldt' with David's help and set to recording my own album. Paul Simon's, "Graceland" had just come out. To me it was a revelation and an epiphany albeit a little too smooth for my taste. I wanted to get down to the root of the matter. INDABA, my album, was recorded in Johannesburg exactly at the time that Nelson Mandela was released from prison. I have had the profound experience of being in South Africa during "the time off starvation", which is what apartheid was sometimes called, as well as afterwards when the system collapsed. Freedom reigned. INDABA was a musical photograph of that moment in time. One of the songs on INDABA ultimately created its own challenges, creatively. geographically, financially, legally, digitally and business-wise and with Joe Cocker... and much more. I'll get into that with my next installment as well as more discussion about songwriting, its craft and its art. 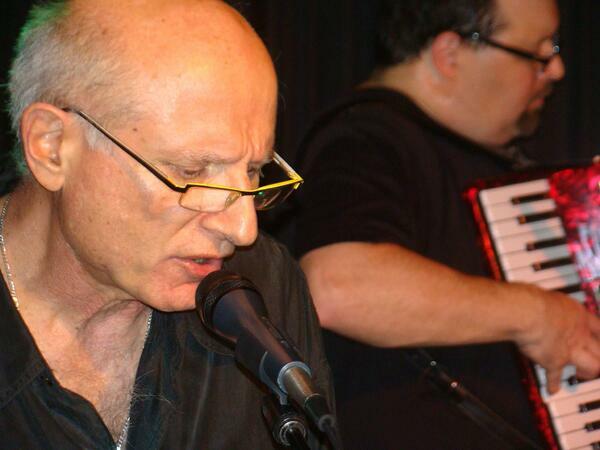 John Capek has achieved international acclaim as a composer, songwriter, keyboard player, producer, arranger and scorer for feature films and television. American Authors, the winner of the 18th Annual USA Songwriting Competition, is making huge waves this week with their new hit single 'Best Day Of My Life'. It has been gaining momentum, hitting #1 on the Billboard US Adult Pop Songs Charts, making it their first official #1 single. They beat the likes of mega-hit music acts such as One Direction, A Great Big World & Christina Aguilera, Lorde and Bastille. The song also hit #11 this week with a bullet on the Billboard Hot 100 Charts. On top of this, the song was certified Platinum today, meaning it sold a total of 1 million copies. They are the first USA Songwriting Competition winner to ever hit #1 and certified Platinum [by Recording Industry Association of America (RIAA)]. They entered the USA Songwriting Competition as unsigned independent band and came out winning the USA Songwriting Competition, getting signed and hitting the charts. They have also appeared on hit TV shows such as "Tonight Show with Jay Leno", "Conan O'Brien" and "Late Late Show with Craig Ferguson". 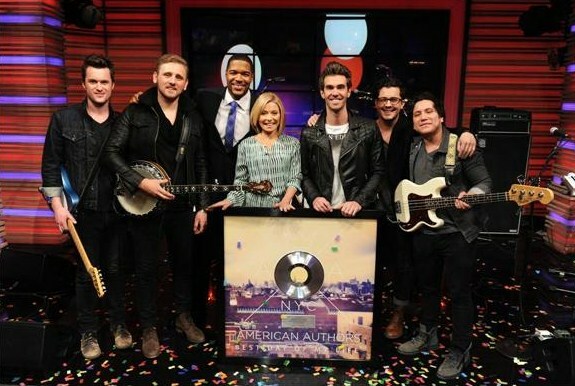 American Authors also appeared on "The Ellen Show" performing this song last month. The song is also featured in the hit movie "The Secret Life of Walter Mitty" and featured on the hit TV show "The Voice" more than once with the top 5 finalists singing this currect hit song. The song is written by Zac Barnett, Dave Rublin, Matt Sanchez, James Adam Shelley, Aaron Accetta and Shep Goodman. American Authors is an American indie rock band based in Brooklyn, New York, and who are signed to The Island Def Jam Music Group. The band of brothers met at the Berklee College of music, and up until 2012 were known as The Blue Pages. Under this moniker, the group released two extended players, Anthropology and Rich With Love, both of which were met with enough interest to keep the band relevant. They won overall grand prize and first prize (Rock/Alternative) with their song ‘Believer’. This song appears as the first track in their full length album "Oh, What a Life", released this week on March 3rd. USA Songwriting Competition has a long history of having winners getting recording and publishing contracts, have their songs placed on the charts as well as having their songs placed on film and television. The top two winners of 2011: Nenna Yvonne and Alexander Cardinale were signed to Interscope Records after their win. The 2007 winner hit Top 10 on the Billboard charts with his winning song. The 2005 Winner of the Country category had his winning song cut by Country Superstar Faith Hill. The 2005 winner of the Pop category was signed by Interscope Records; she went on to hit Top 10 on the Billboard 200 Album charts. Our 2008 winner appeared on David Letterman TV show and was signed to a record label. 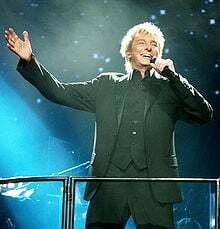 Veteran singer Barry Manilow fears the art of songwriting has been lost amid the mass of modern technology used by young musicians. The Mandy hitmaker loves listening to new music created using computers and drum machines, but he is adamant the devices are replacing the craft of penning simple tracks that can be performed on any instrument. He tells Fox411's Pop Tarts column, "I'm very involved in the machinery and the technical ways of making music these days, and it is exciting for young people, writing music on their computers with loops and drum machines and making gorgeous, exciting sounding records. "But what I miss is well-written songs with great ideas, wonderful lyrics, beautiful rhymes and wonderful melodies. I don't hear that anymore, I feel very angry about that. People are making great records because of all the technical abilities, but what I try to do is turn all that stuff off. Do you have a song when you're done? "I tell these young people to turn off the drums and all that stuff, and ask themselves is there a melody and lyrics there? Can you just sing it there with a guitar or are you locked into all these machines? I don't think they do. If there is one thing I miss in music these days it is great songwriting. I think we've lost it." You can point to your nose and shake your head to emphasize this rule! This means anything goes! Ignore all your self-imposed limitations and barriers. Utterances such as “I can’t sing,” “That won’t work,” “I’m not good at lyrics,” “That’s stupid,” and all the variations on that theme are NOT ALLOWED. You’ll be surprised how easy it is to eliminate the negative if everyone agrees to this rule. If you judge your ideas before you express them or simultaneously with expressing them, you stop the flow of your ideas. When working in a group, each person has the responsibility to say WHATEVER IDEAS ARE TRIGGERED IN THE PROCESS. If you think to yourself, (trying to avoid Rule 1 by not saying it out loud) “That’s stupid,” and stop yourself from saying it, you have eliminated the stimulus that might have inspired the next person’s thought. Our rule of thumb is, if you really think it’s stupid, you are OBLIGATED to say it out loud. In the early stages of creating, all ideas are good ideas! The time for judging them comes much later in the process. Leave your judge outside the door for now. Yes, and…. Suppose…. Another idea…. These phrases are indispensable tools for expressing respect for all the ideas that flow in a collaboration. Be silly. Make jokes. Say the wildest thing you can think of. Laugh! Aren’t we lucky to be writing songs? You can use any photo as the stimulus for the game. For example, use a photograph of two people kissing. There’s one at http://www.masters-of-photography.com/D/doisneau/doisneau_kiss.html Double-click the photo and it will be large enough to fill one page, which you can print out. Each person in the room takes a turn saying a sentence or two about the story of the picture. - She just told him she’s pregnant. - Their braces are stuck together and they’re going to an orthodontist to get unstuck. - He doesn’t know her at all. He’s kissing her to distract her while he picks her pocket. There is no end to the ideas that you can come up with. What did s/he he say just before this photo was taken? What are the fellow behind them and the woman next to them thinking? What’s going to happen next? These are the questions you will be asking about the people in your songs, so you are practicing the art of characterization. This game of getting the creative flow going without boundaries can be played with any photograph or curious item. You will have to remind yourself to return to the fun, open attitude of this game whenever you feel yourself getting bogged down creatively. Collaboration business tip: We think it’s best if everyone agrees up front that the song will be shared equally by all the writers who are participating in the collaboration. Mathematics can kill a collaboration. That’s why they call it division! Tune in to the 2011 USA Songwriting Competition Podcast, this features never before heard demo versions of the winners of the USA Songwriting Competition (past & present). Click on the audio player above to listen to the music. This version is the demo version before it was re-produced and re-mixed when she was signed to Interscope Records. This song went on to hit Top 40 on the Billboard Charts. This song is a demo version before it was remixed and reproduced and before it hit Top 10 on the Billboard charts. This song went on to win 2 Grammy awards in 2011, making Christopher the only USA Songwriting Competition winner to ever win 2 or more Grammy awards in one evening. Have you looked at the Billboard charts lately, and wondered – why aren’t I there? My songs, production chops, my voice, my performance – I’m as talented as anybody out there, and then some. So why is someone else having the hits, and not me? Often, the difference between you and the guy in the front row at the Grammys holding the award, is one more phone call. As sensitive people, we don’t have built-in hustle muscles. The irony is, we need them more than ever. Truthfully, no matter how talented, if you’re not willing to tear down walls with your teeth, stay out of the music business. The race is to the hungry, not necessarily the best. The odds are against somebody swooping down and discovering you while you stay home singing to the squirrels. But, if you are brave enough to make one call a day, every day, to one new music contact, at the end of a year, you’ll have 365 new people in your business life. If only 10% of them ever listen to a note, that’s still 36. And all it takes is one. Remember: the difference between you and the guy in the first row at the Grammys with the award in his hand, is one more phone call. Molly-Ann Leikin is a Career Mastery Coach and Songwriting Consultant. An Emmy nominee, Molly has 14 gold and platinum records, plus four ASCAP Country Music Awards. She's the author of "How To Write A Hit Song" and "How To Be A Hit Songwriter" and has written themes and songs for over four dozen TV shows and movies, including "Violet” that won an Oscar. Molly has helped launch the careers of thousands of singers and songwriters, three of whom have Grammy nominations. She can be reached at: www.songmd.com or 800-851-6588. Kate Voegele won first prize in the Pop category of the USA Songwriting Competition in 2005 and became the youngest winner at that time at just 18 years old as a teen phenom. 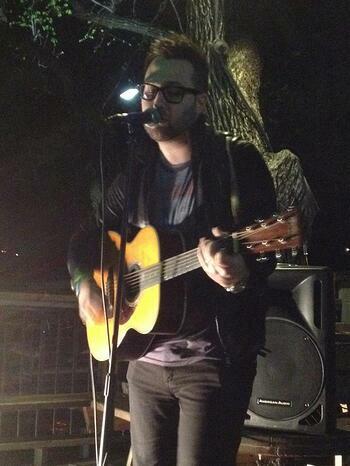 She went on to perform at USA Songwriting Competition showcase at SXSW (see picture below) and was signed to Interscope Records shortly after. Her winning song "Only Fooling Myself" went on to hit top 40 on the Billboard charts that year. Her 2nd album hit the Billboard 200 Album charts at #10. She has appeared on major TV shows such as "The Tonight Show", acted in "One Tree Hill" and toured with American Idol winner Jordin Sparks.